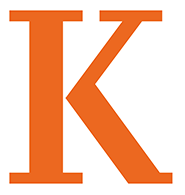 Wisr, the Kalamazoo College Career Mentoring Network, is a secure mobile-friendly database designed specifically to help individual K students and alumni connect. A matching algorithm connects users based on affinity, affiliations, and career track. Student mentees browse secure lists of alumni who are working in fields that they’re interested in exploring, and then request one-on-one advisory sessions on topics ranging from applying to graduate school to developing skills for success in a particular industry. Agendas for the advisory call include specific questions to guide the conversation, and the call is scheduled and facilitated within the platform to protect contact information. By setting up a profile, alumni advisors volunteer to assist students with career advice and networking. They don’t need to be experts or luminaries; all they need is a willingness to talk about a career path, share advice, and provide insights on career-related topics like interview preparation, industry knowledge, graduate school exploration, and particulars of a region/location. Wisr is a powerful source of career inspiration and networking. Thirty minutes of conversation with the right mentor can change a student’s life. And Wisr can be just as powerful for alumni-to-alumni connections. Young alumni often seek guidance and assistance as they launch their professional careers, and alumni considering a career change at any stage of their working life can benefit from the guidance and assistance of fellow alumni. For more information or to get started today, visit kzoo.wisr.io. If you have questions about how to use Wisr, help.wisr.io is a helpful resource. Wisr, the Kalamazoo College Career Mentoring Network, is an initiative of the Center for Career and Professional Development in collaboration with the Office of Alumni Engagement and the Alumni Association Engagement Board.